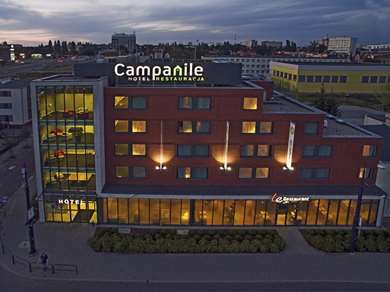 Let Campanile Hotels host you in Poland, a country embodying Eastern European culture! With its old town beauty and rustic scenery, Poland will enchant first-time visitors and seasoned travellers alike! Officially known as the Republic of Poland, the country is located in central Europe, bordering Germany to the west and the Czech Republic and Slovakia to the south, the Ukraine, Belarus and Lithuania to the east and the Baltic Sea to the north. The formation of Poland is said to have occurred with the adoption of Christianity by Mieszko I in 966, however the kingdom of Poland was formed in 1025. Later Poland was assimilated into the Kingdom of Prussia, the Russian Empire and Austria. The country only regained its independence in 1918 and then two decades later it was overrun by Nazi Germany and the Soviet Union. 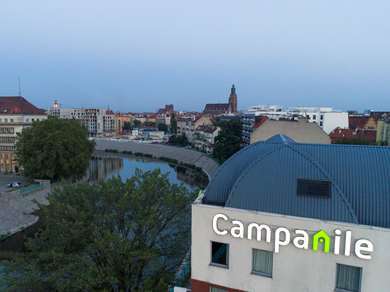 Come stay at our Campanile Cracowie/Krakow hotel and experience this marvel of Poland. The old town is home to many world-class monuments and restaurants, and everything is accessible by foot. Near Krakow , you will experience the beauty of the amazing landscape as you cruise the river. Perhaps one of Poland’s leading tourist attractions is the Dunajec River Gorge. This trip provides opportunities to visit the Niedzica Castle in the area, built in the 14th century by Hungarians to protect a trade route passing through the area. The boat-side view from the river grants you a stunning view of limestone cliffs and native flora, as well as rare bird species such as the Black Stork. With a week in Poland, why not experience the breathtaking scenery of the north? Amazing landscapes and unbelievable seashores will leave you stunned. Visit Gdansk and Sopot , home to one of the cleanest waters in Europe, the Masuria Lake. Afterwards, head over to the bustling capital, Warsaw , with its glass skyscrapers and exciting nightlife. Travelling with your family? Poland offers a number of national parks to enjoy. On one side of the country, discover Slovinci NP near Leba and, on the other, the Gory Stolowe NP near Kudowa Zdroj, with its amazing rock formations. The Tatra NP around Zakopane is said to have the best mountains in Poland. Today, English speakers will find it fairly easier to get around in Poland, whereas ten years ago it would have been a different story!Officially known as the Republic of Poland, the country is located in central Europe, bordering Germany to the west and the Czech Republic and Slovakia to the south, the Ukraine, Belarus and Lithuania to the east and the Baltic Sea to the north. Poland is easily accessible on most major European airlines. By train, there are direct connections with Berlin [Link to relevant page], Amsterdam [Link to relevant page], Kiev, Vienna [Link to relevant page], Prague and Moscow. By car you can enter Poland via one of many roads linking it with the neighbouring countries. Many international bus lines use the roads to connect major Polish cities. While it is somewhat limited, there are more and more ports along the Polish coast for those entering the country by sea. Polish food is very vegetarian-friendly and most restaurants cater for vegetarians with at least one meal without meat. Poland is well known for its perogis, which are parcels of unleavened dough containing various ingredients such as mashed potatoes, cheese, mushrooms and cabbage, served with fried onions. Sweet perogis are also popular in some areas and contain strawberry, apples or other fruits. Try some on your visit! If you’re in Poland in the autumn, be sure to see the Wratislavia Cantans International Festival, a chance to see concerts, symphonies and chamber music, operas and ballet performances. Many of the artistic performances take place in amazing historical sites in Warsaw. The festival begins around September 9. If you miss the music festival, check out the Warsaw international Film Festival just one week later. The festival screens more than 100 films from 40 different countries. Poland has given the world 17 Nobel prize winners, four of which were awarded Nobel Peace Prizes and five of which were awarded Prizes in literature.